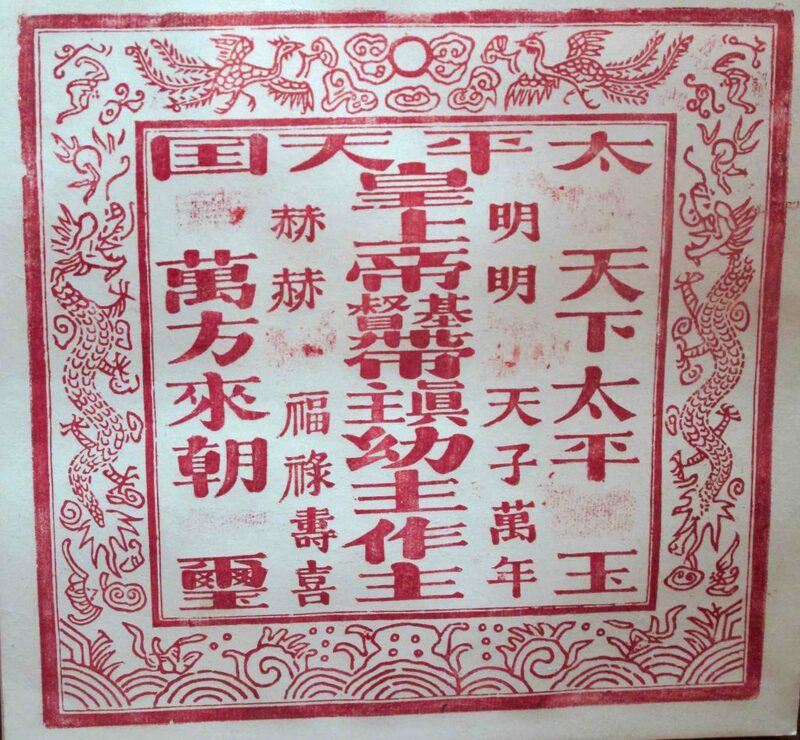 During the Taiping Uprising, Mesny found work as a “Blockade Runner”, ferrying contraband arms and salt upstream along the war-ravaged lower Yangzi between Shanghai and the inland metropolis of Wuhan. The work was profitable but extremely dangerous, and it wasn’t long before Mesny was fighting off pirates and getting himself badly battered during a near-fatal assault by the Qing navy. His luck finally ran out on November 1, 1862, when he and fellow-passenger “Portuguese Joe” were betrayed by their Cantonese crew and taken prisoner by the Taipings off Fushan, port for Changshu town. After initial sword-waving theatrics and threats of execution the Taipings treated Mesny well, and at Changshu he was installed in the household of General Hou Guansheng, where he made himself useful repairing trinkets and becoming an English tutor to Hou’s children. Meanwhile, the British sent gunboats to shell Fushan and demand Mesny’s return, but were told that he had been hacked to death and his remains fed to dogs. However, there was always the risk that so valuable a hostage might escape, so his captors soon shifted Mesny deeper into Taiping territory: first to the historic city of Suzhou, where he was cocooned in luxurious apartments; and then, after fighting neared Suzhou in mid-December, to Baoying. The journey to Baoying was grim, the landscape littered with human corpses and skeletons, with whole villages pounded to ruins. By February, food was running short at Baoying and Imperial forces were again massing, and the local Taiping leadership decided to withdraw up the Yangzi to the rebel capital, Nanjing. During the march Mesny suffered a severe bout of malaria and nearly died; he awoke a week later to find himself left for dead on a straw matress, weak but recovered. Nanjing would fall to Imperial forces the following year, and Mesny climbed the enormous, battle-scarred stone walls to spy out the menacing Qing armies, drawn up for battle in front of the south gates. He eventually managed to smuggle a letter out to the British Consul at nearby Zhenjiang, and in April 1863 a gunboat arrived to rescue him. Shanghai must have over a hundred bus depots serving the local countryside, and finding the right one for Changshu proved a challenge. I was eventually directed to the East Bus Station, where my cab driver – having already charged five times the usual rate for the ride – tried to short-change me. He handed the money back sheepishly, passers-by laughing at his being caught out by a foreigner. Changshu is a pleasant town. The modern centre tails off into market streets and flagstoned residential lanes, where, in an echo from Mesny’s time, you can still see traditional whitewashed houses with projecting roof ridges. There are canals plied by long, flattened barges, a reconstructed stretch of Changshu’s defensive wall, and a strategically-located pagoda correcting the town’s faulty feng shui. Set on a canal between the Yangzi and Grand Canal, within striking distance of both Suzhou and Shanghai, Changshu was also strategically important during the Taiping Upsrising. 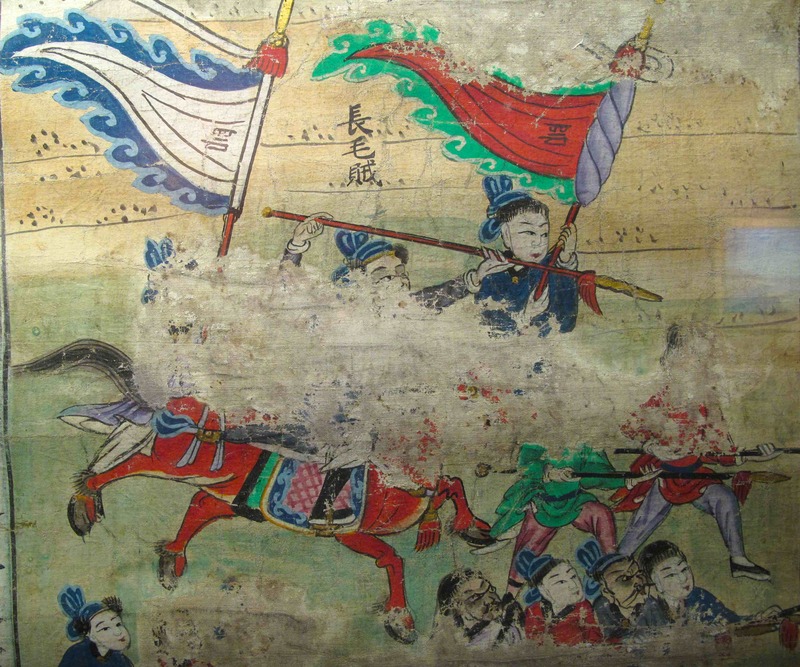 In March 1863 – just as Mesny was being released – the pro-Qing “Ever Victorious Army” under General Gordon attacked Changshu, driving off Taiping forces which were trying to retake the city after it had been surrendered to Imperial forces. Mesny’s view was that Gordon targeted Changshu in direct retaliation for his being held prisoner there. My next stop was Suzhou: a cultured city, renowned since the Ming dynasty for its beautiful women, elegant canals and classical Chinese gardens. 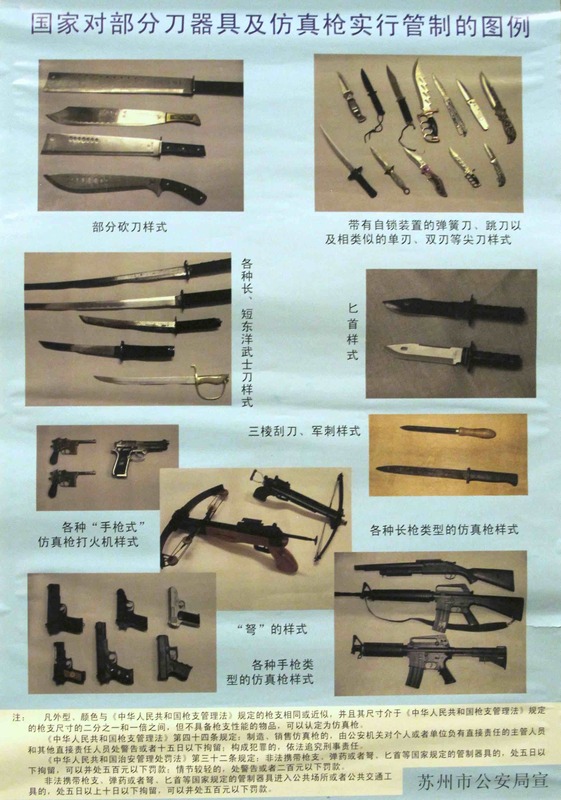 And violent crime, if the poster of assorted weapons in the lobby of my hotel was anything to go by. 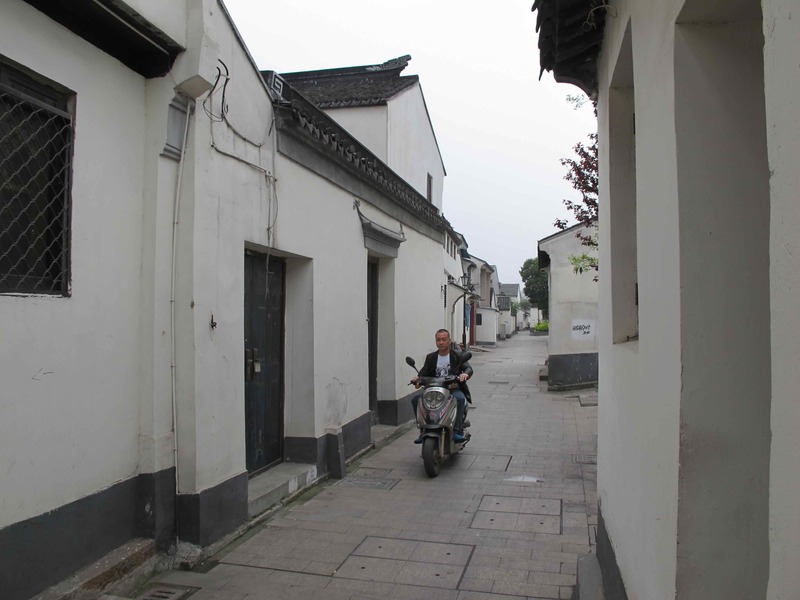 In fact Suzhou turned out to be surprisingly low-key, its original grid-like streetplan, arched bridges and canal network preserved intact and not overly tarted up for tourism. Street life was very workaday, with separate districts dedicated to just one product or trade – making trolley casters, lathes, hosepipes, safes – and nowhere looking especially wealthy. I ate a supper of local dishes (cold tofu with a dressing of soy sauce, chilli oil and preserved eggs, lotus root stuffed with sweet sticky rice, and prawns with tea leaves), and was chased by a bolshy chow dog, which are still commonly used for guarding canal boats. 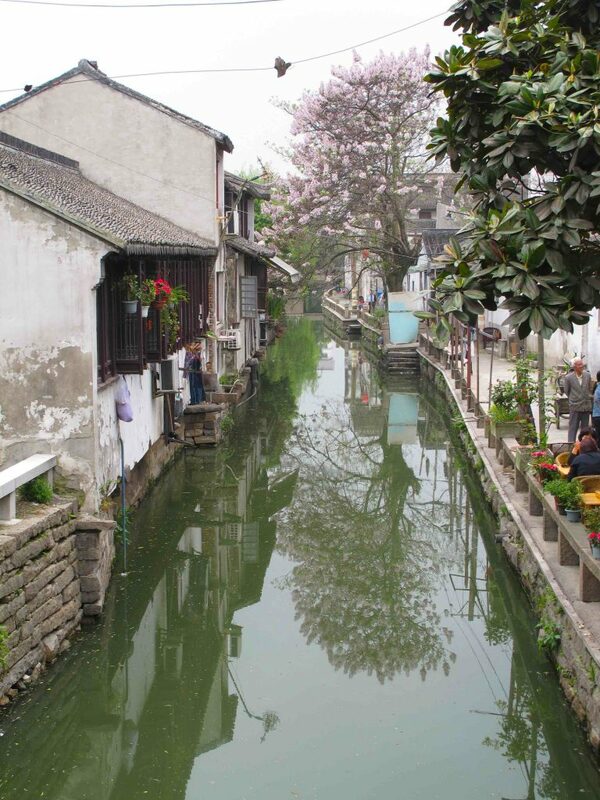 Suzhou’s main tourist drag was pedestrianised Pingjiang Road, a canal area with overhanging lilacs, wooden boats, small businesses, cafés and shops. It was attractive enough even on a clammy spring day, looking like a restrained start to what might grow into overt Disneyfication. Around the corner was Zhong Wang Fu, the former palace of The “Loyal Prince” Li Xiucheng, now a Taiping Museum. Mesny implies that he met Li at Nanjing, immediately before his release. Leaving Suzhou, I was bundled aboard a bus for Baoying which lacked the usual destination sign stencilled in large fluoro characters on the windscreen. We crossed the Yangzi, then followed the Grand Canal north through a gentle rural landscape – flat fields of mustard flowers glowing in the sunshine, dappled tree-lined roads raised on flood-proof embankments – all difficult to reconcile with Mesny’s descriptions of war, corpses and smouldering villages. The bus dropped me miles from anywhere on Baoying’s far eastern fringes, where I tried to catch a cab to the “old town” but was turned down flat. The closest they would take me was to a central park, built over the site of a demolished nineteenth-century nobleman’s garden. From here Baoying came across as a slightly downbeat, shabby modern shell of a place whose underemployed youth lounged despondently on benches. I finally found the old quarter, whose lanes were so narrow that cars are banned, hence the cabbies’ refusal to come here. There were no real sights, and few buildings dated back beyond the 1920s, but in terms of atmosphere – little street markets, silversmiths hammering away, people chatting with neighbours in doorways, and a distinctly uncosmetic canal, choked with rubbish – it was the closest I had yet come to feeling I was seeing scenes from Mesny’s day. First impressions of Nanjing were poor: its five million residents seemed to be a loud, pushy, irritable bunch. Though perhaps this was just me, arriving at yet another obscure bus depot to find myself tired, hungry and surrounded by chain smokers. I was also surprised how much everyone stared at me. Foreigners get stared at a lot in China (at times it’s hard not to keep checking to see if your flies are undone), but I had expected such an enormous city as Nanjing – China’s capital back in the 1920s – to be more sophisticated. 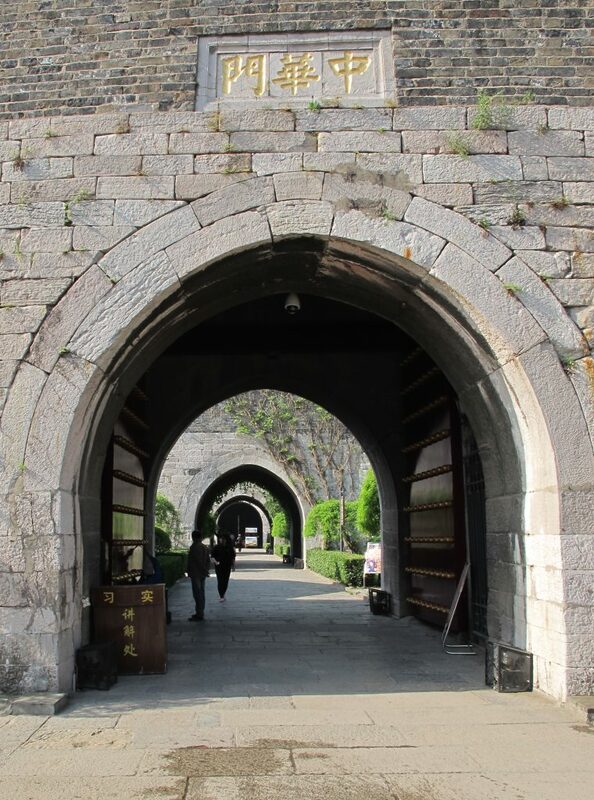 Ten metres tall and built of stone blocks, the surviving stretches of Nanjing’s city walls are immensely solid. Following Mesny, I climbed the south gate, where the wall at the top is as wide as city street. He had looked south over the river to a battleground littered with spent cannon balls; today the view is of heavy traffic and busy suburbs. Back inside the city, Nanjing’s Taiping Museum – a former Qing-dynasty mansion – displayed weapons, writings by the Taiping leader, Hong Xiuquan, scenes from the Taipings’ beginnings up to the siezure of Nanjing on 19 March 1853, proclamations on yellow silk, paintings and inscriptions. There were also the diaries of George Smith, another Mesny-like mercenary, who fought on the Taiping side. But the exhibits were all laid out without a narrative thread, as if visitors already knew the story. This must partly reflect a modern conflict of interest. China’s Communist goverment might be proud of the Taipings for rebelling against Imperial rule, but they’re not willing to promote revolution as a solution to public discontent, and so the museum’s message is that the Taipings were far-sighted economic and social reformers. Indeed, the revolutionary nature of their revolution is hardly mentioned except as a generalised reaction to the “oppression” of the times – mostly attributed to those darstardly Westerners.